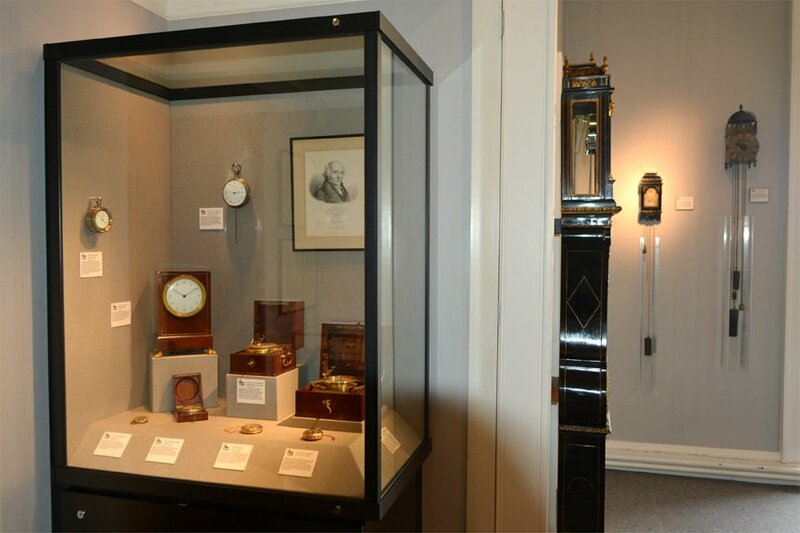 Until recent years few were aware that at Belmont there is, without a doubt, the finest private collection of clocks and watches in Britain outside those in the national museums. 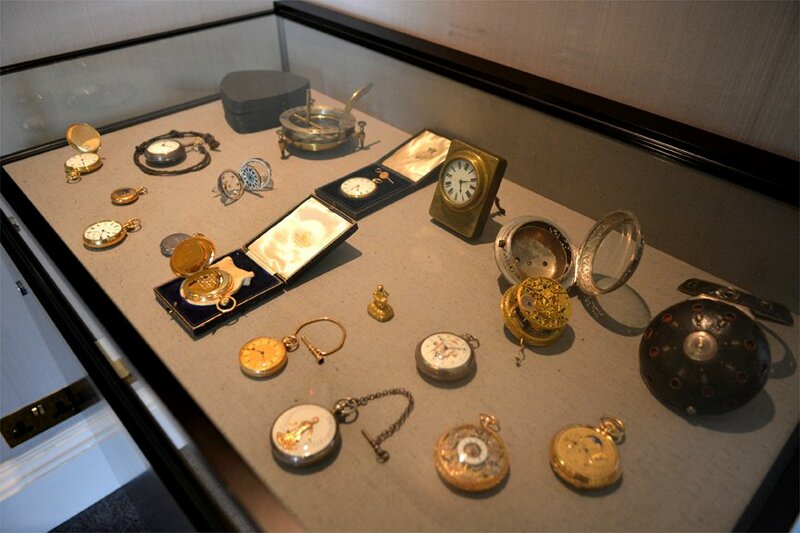 He discovered a passion for horology as a young man in the early years of this century. 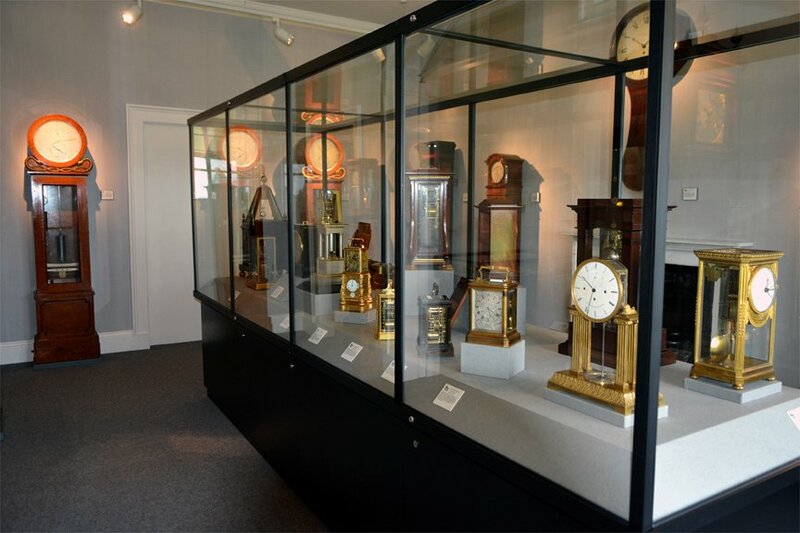 At that time Belmont had few clocks of any kind but by the time of his death in 1984, at the grand old age of 95, the house was wholly imbued with the gentle sounds of timekeeping, boasting no less than 340 clocks and watches, most of which he kept working. 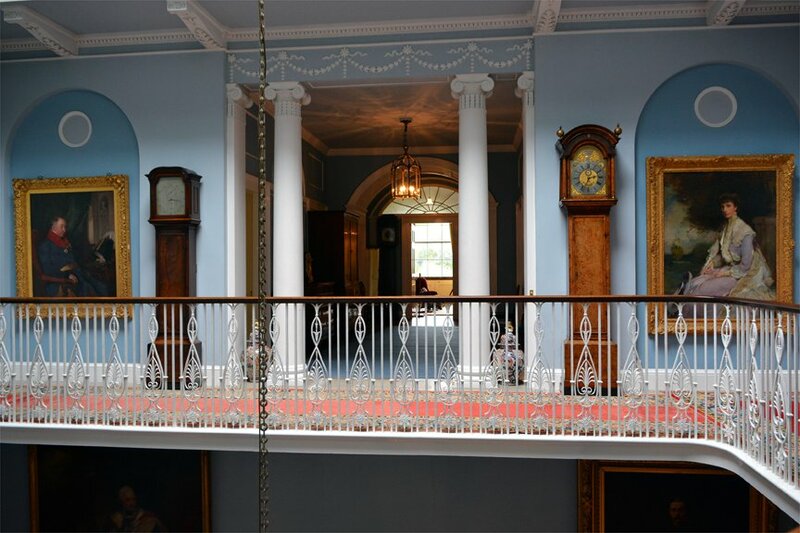 Lord Harris was deeply involved in the subject too; he served as Master of the Worshipful Company of Clockmakers and was, from 1953, founding President of the Antiquarian Horological Society. 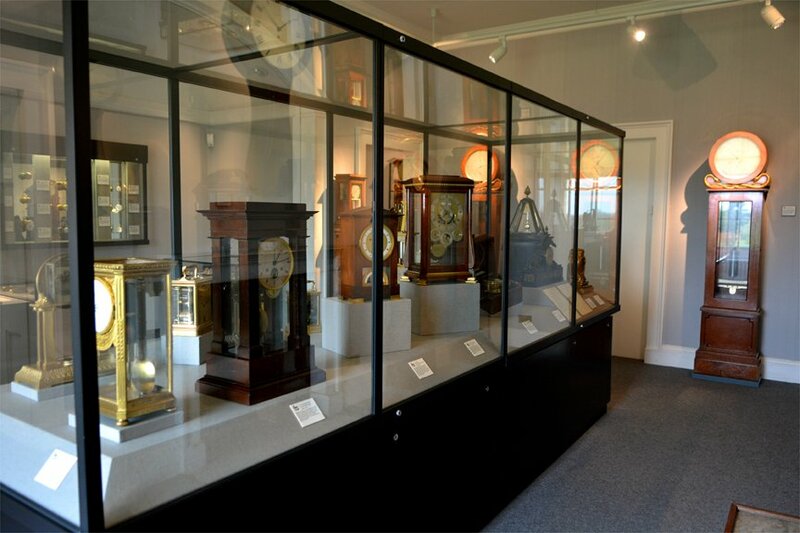 The Harris collection consists of a wide variety of clocks and watches with examples from all the major clock making countries and periods. 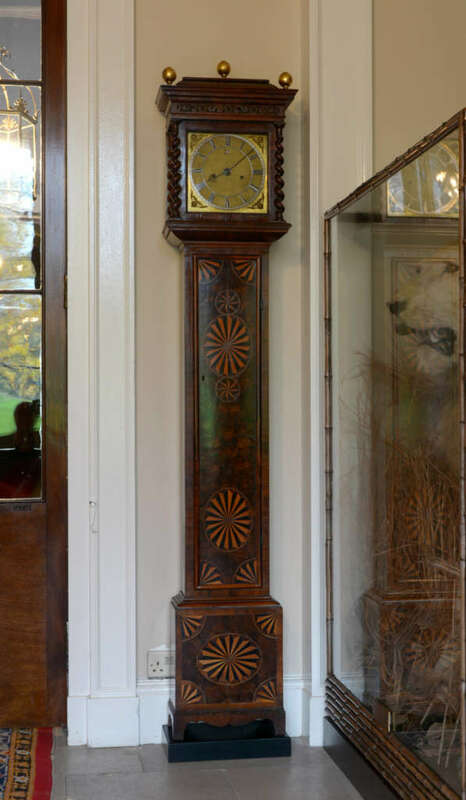 However, clocks from England’s horological ‘Golden Age’, nominally from the mid-seventeenth to the mid-eighteenth centuries, were Harris’s first love and many of the clocks at Belmont dating from this period are of national importance. 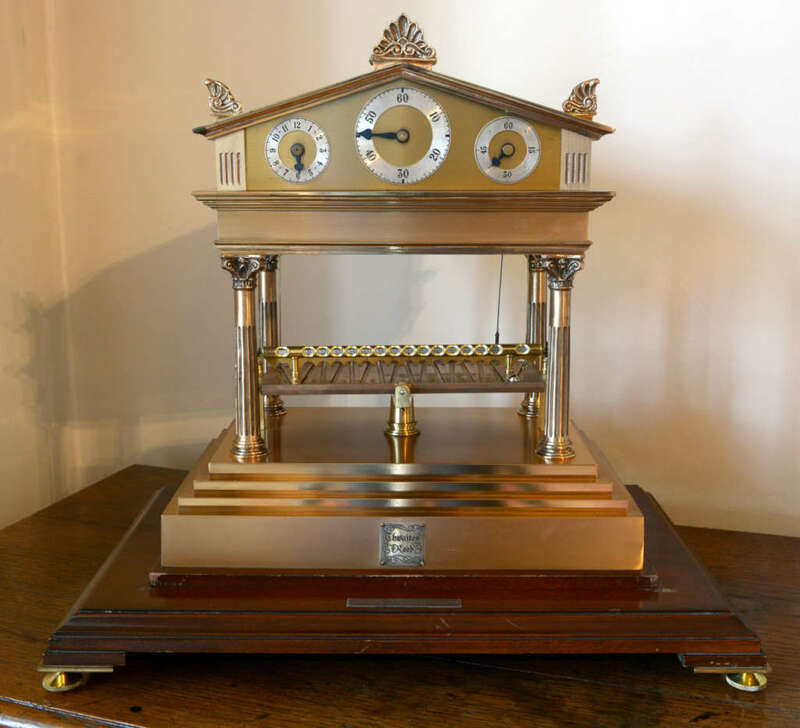 Harris was no armchair collector, he would not only watch “the wheels go round” but would take his clocks to pieces too, carrying out minor repairs and adjustments, though major overhauls were done by professionals, usually from the London firm of Frodsham.  An aspect of the collection which makes it especially interesting is the presence at Belmont of Lord Harris’s meticulously filed letters and documents recording the process of forming the collection, including suppliers, dates of acquisition and prices paid. 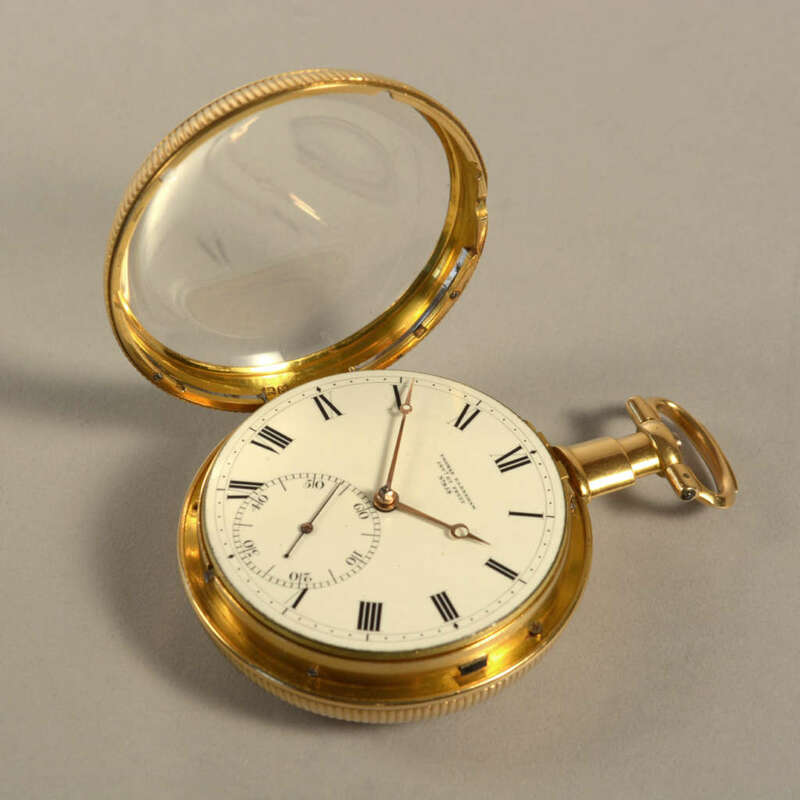 Within the collection, are examples of the 5th Lord Harris’s truly catholic horological tastes:- anything horological which was something of an oddity appealed; if it had a technical trick to deceive and amuse, or a clever device which could be enjoyed for its ingenuity, Harris wanted one for Belmont. 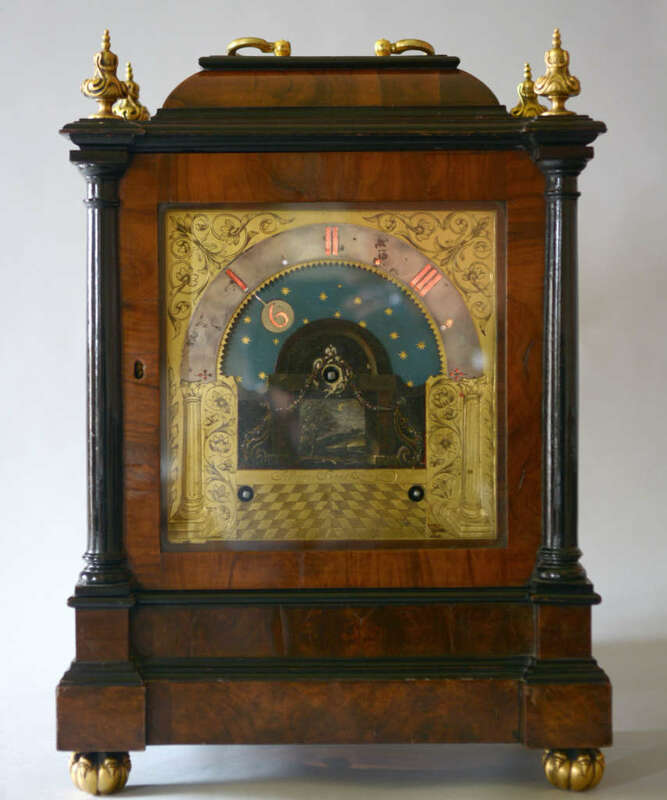 The most well known ‘novelty’ clock in Harris’s collection has to be the reproduction rolling ball clock, made by Thwaites and Reed in 1972, after William Congreve’s design patented in 1808. 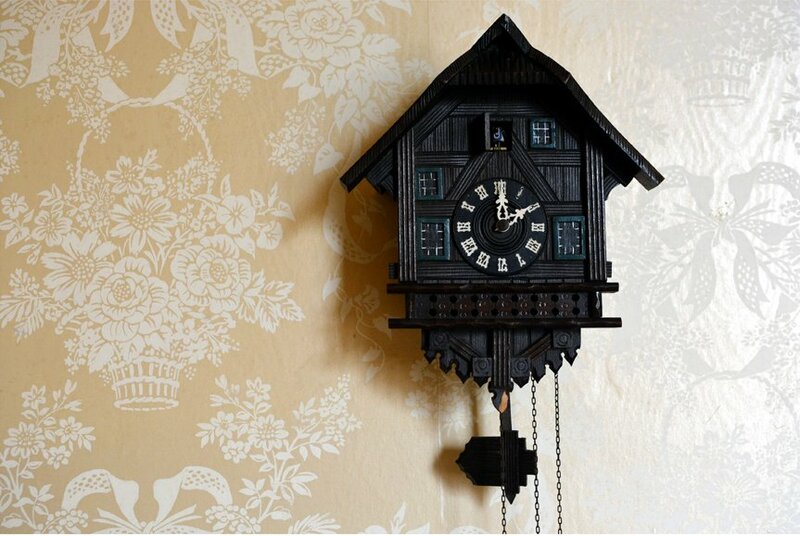 What is not so well known is that Congreve did not intend this to be a novelty clock at all. It was a serious attempt at a precision timekeeper. 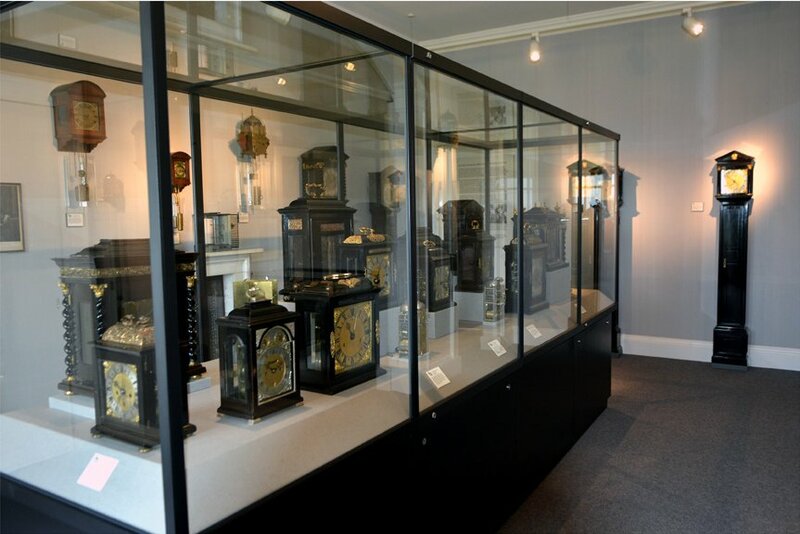 One can only assume that he must have been very disappointed as these clocks cannot keep time better than to about 15 minutes a day! 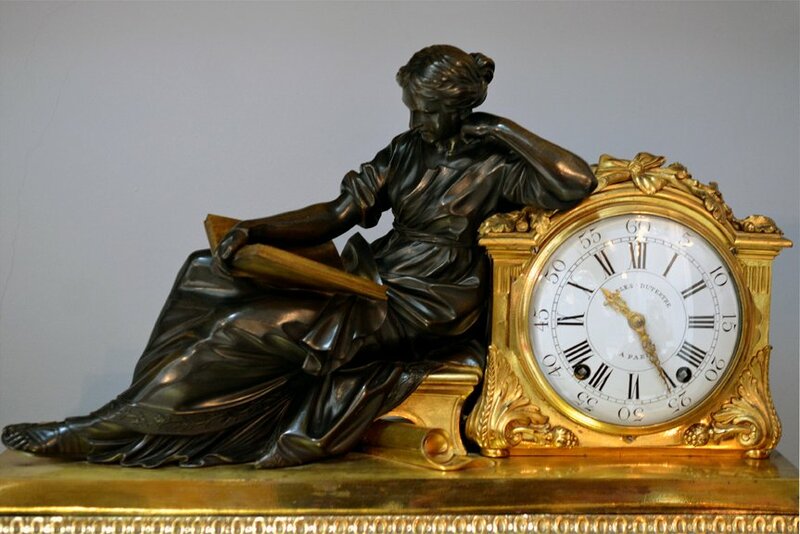 Jonathan Betts, an expert in Horology and formerly of the National Maritime Museum conducts a clock tour at 1.30 pm on the last Saturday every month during the season. 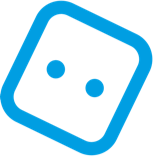 Prior reservation with the Administrator is necessary as places are limited.